We would like to thank Marialice BFX Curran & David Ryan Polgar for organizing such an amazing event and bringing people (like us) passionate about such a HOT topic (digcit) together! Great discussions & valuable takeaways around the ways parents and educators can come together to embrace technology and teach students to be good digital citizens. We can’t wait until the next one! Students, there’s no more denying it – what you do on social media affects your admission into college. 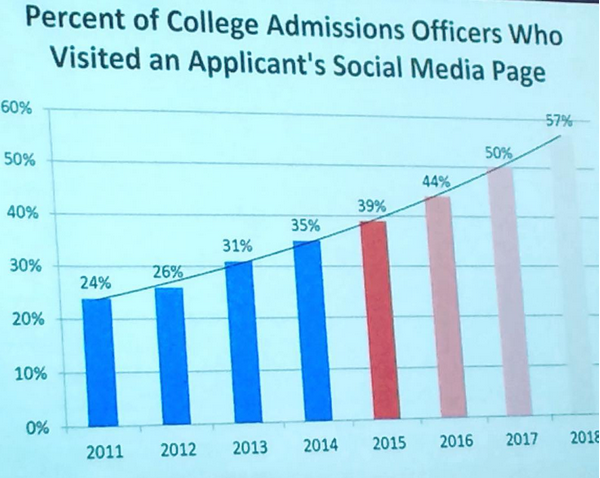 Alan Katzman from Social Assurity shared how the % of college admissions officers looking at your social media pages is increasing each year. 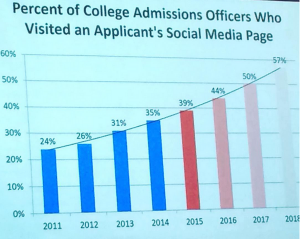 By 2017 50% of college admissions officers will be googling you. High school sophomore’s take note! Jen Scheffer argued that “having no social media presence can be worse for students than having a bad social media presence”. 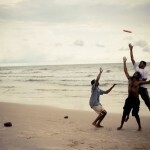 Instead of hiding your social media, make your digital footprint something you are proud of! Learn how here. 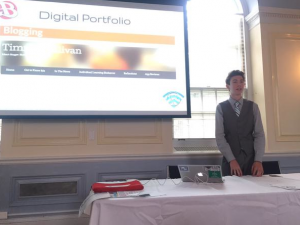 Timmy Sullivan, a senior at Burlington High School, impressed the crowd during his session with Jenn Scheffer on “Preparing High School Students for College & Careers through Digital Citizenship Education”. He decided to take control of his online presence within the last year in preparation for college admissions. This involved changing his twitter handle from @iamsohotitscrazy (thinking it only mattered friends) to @TimmyS54, and improving his name’s SEO, so that when you googled the name Timothy Sullivan the first 3 pages of results weren’t all related to Timothy Sutton the convict. By increasing his positive social media presence (between his blog, twitter, youtube interviews, etc. ), now when you google his name you find the information he would want a college counselor to find, such as his TedX talk. Timmy gives another great recap of the #digcitsummit here. 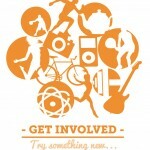 Timmy also has some awesome thoughts on GoEnnounce as a way for student’s to increase their positive digital footprint. Check out his interview with our co-founder, Meghan Davis, the day before the summit on episode 27 of BHS Help Desk Live (a student run genius bar!). Social Assurity – Social media e-courses, workshops, and personal consultations that teach students how to elevate their social media and digital presence for better college and career opportunities. Frienedy – A way to eradicate cyber bullying and to provide a more private social networking environment where users can manage what they share with each Group (they create or are associated with) uniquely. #ICanHelp – Deleting negativity on social media! A day to day solution to help students, educators, and parents navigate social media and create a positive online culture. Cyber Civics – An awesome Digital Media Literacy Curriculum for Middle School students. Torch – Torch is a smart, wifi router COMING SOON! that offers parents digital peace of mind as their kids explore the internet. Raising Digital Natives – A resource for parents and schools seeking advice on how to help children thrive in a world of digital connectedness. Pocket Guardian – A mobile application used to alert parents to Sexting and Cyberbullying on childrens mobile devices. 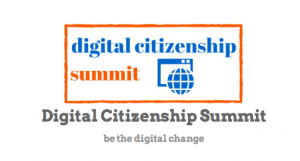 Want to contribute something from #digcitsummit that we missed? Tweet or email (info@goennounce.com) it to us!